I’m doing a show Saturday 9/26! Hi! Once again I’ve been included in this cool show run by Samantha and Rudolfo Carrillo. It’s a great lineup and a wholesome (?) good time! 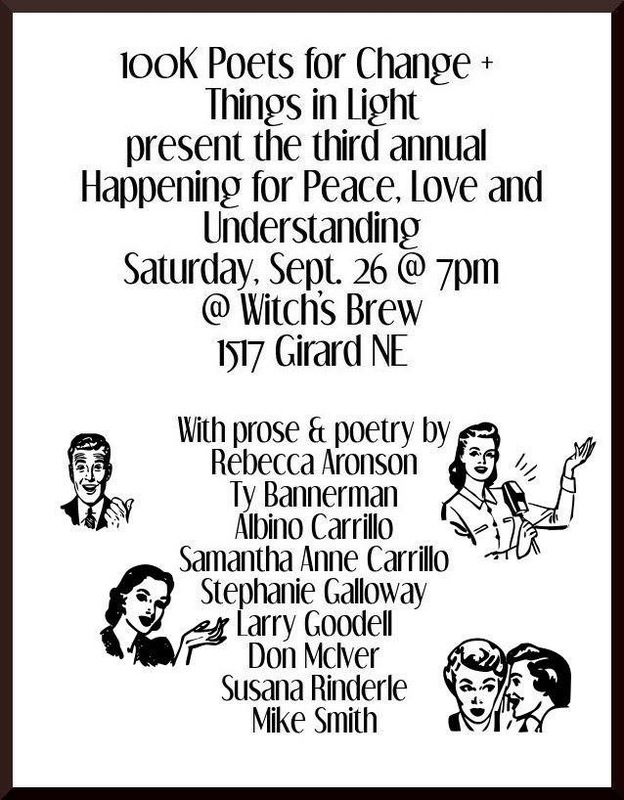 Please come out Saturday September 26th at 7:00 p.m. if you’re in ‘Burque…and spread the word!